Paris Saint-Germain has reportedly offered Ander Herrera a big contract which could pay him €173,000 a week. The player has been linked to a move to France for a period of time, but it is unknown if he will change clubs this summer. 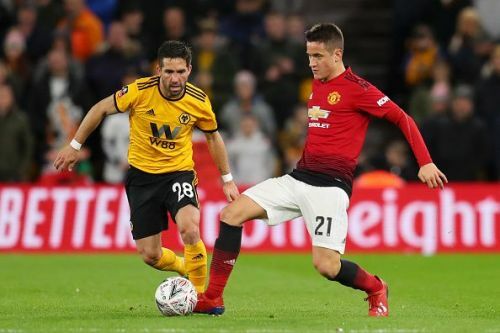 Herrera has been a player who consistently makes the starting eleven under Ole Gunnar Solskjaer. Lately, he has been struck with an injury which saw him miss three EPL games in a row. However, he returned to action where his team lost the battle against Wolves in the FA Cup. In February, the midfielder won the Manchester United Player of the Month award. Clearly, he has been a star player for the club this season. The 29-year-old has spent five years with the Red Devils since his move from Athletic Bilbao, where he spent three years at the Spanish club. Herrera's contract with United will come to an end this summer. Although there are some speculations that he could stay in England, there are currently no definite and confirmative signs to show that he will be staying. Besides Herrera, there are other players who could move away from Old Trafford this summer. Antonio Valencia, who has been injured for some time, will be free to join another club this summer too. The United board has decided against extending his contract. Additionally, players such as Alexis Sanchez who have been a let down could be on the move too. Given the uncertainty over United's next permanent manager, it could also play a role in whether Herrera leaves the English club this summer or not. PSG is certainly looking keen to engage in the services of the experienced midfielder if he does not renew his contract with United. United will be hoping that in spite of the transfer speculation, Herrera will be able to help his side in the upcoming race for top four in the EPL and also their match against Barcelona in the UEFA Champions League.